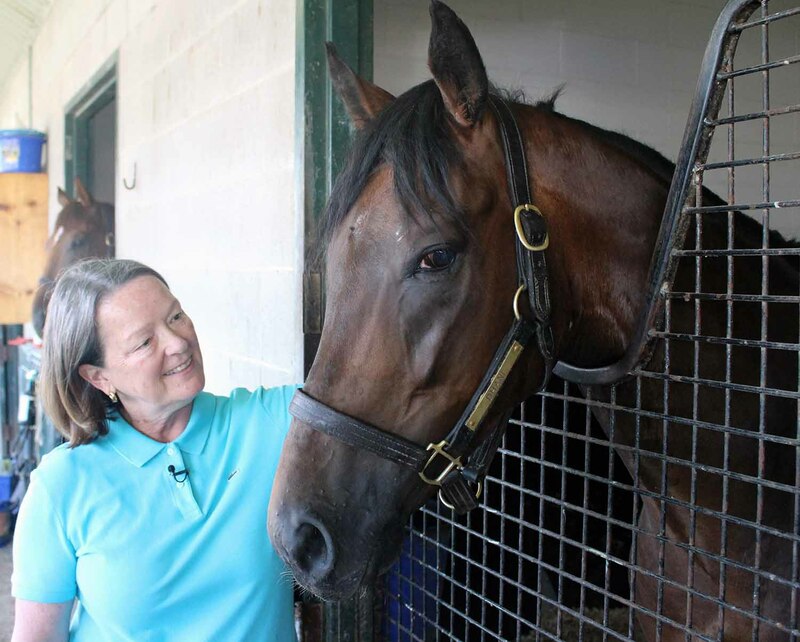 TORONTO, July 27, 2018 – The excitement of horse racing has long since been an attraction for many owners and fans who seek to escape the ordinary and explore the enticing world of Thoroughbred Racing. What many may not know is that the historic sport of Kings and Queens is surprisingly accessible to all. The new Thoroughbred Race Club allows you to experience the action front and centre at Canada’s world-renowned Woodbine Racetrack and the Club’s annual subscription affords you the exhilaration of cheering on seven to ten racehorses, with no risk, while being guided through the many facets of the industry. Janis Maine, wife of the Club’s Trainer Reade Baker, captures some of the benefits of joining a Club versus individual horse ownership. Although racing syndicates and ownership groups have been offered for many years, the Thoroughbred Race Club is unique in that it provides a VIP experience to explore all aspects of the industry through various social activities such as jockey socials, backstretch barbeques at the barn, chef inspired cuisine and wine tasting events along with morning training events and more. Stacie Roberts, the Woodbine Liaison for Thoroughbred Race Club, highlights some of the exceptional benefits of being a patron of the Club. 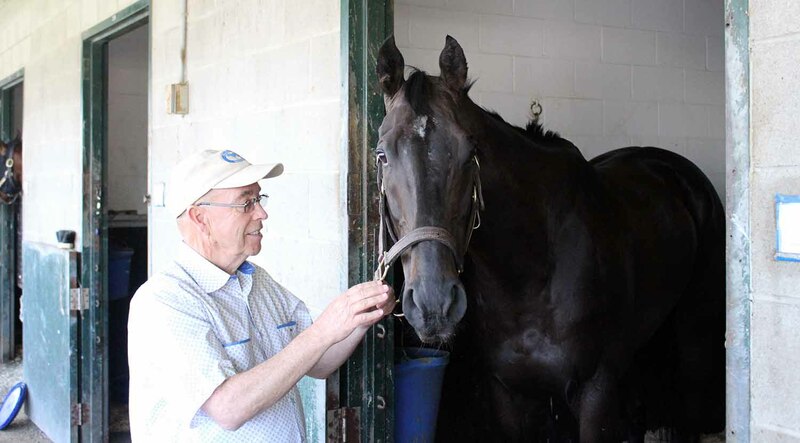 Functioning also as an educational opportunity, by season’s end Thoroughbred Race Club will provide connections to Woodbine trainers and discuss the various options of ownership including how to apply for a Thoroughbred owners license and choosing race silks. When asked what it is about the industry that makes people gravitate toward the sport, Maine explains, “It doesn’t take long for someone new to the industry to realize that each horse offers a dream and a thrill that is truly like no other you will experience. Fashioned after the successful race club at Royal Ascot, Thoroughbred Race Club came to fruition thanks to the investment and tireless efforts of Vera Simpson, the Club’s Manager and Racing Manager. Vera and her husband Michael Dube have owned and operated their Thoroughbred nursery, Curraghmore Farm, for more than 32 years. The couple’s dedication to detail and their open, honest and ethical business relations have attracted many revered clientele throughout the years. Thoroughbred Race Club is a not-for-profit corporation which operates with a passion and caring for the horses and the people who care for them. A percentage of purse earnings from Race Club horses will be donated to charitable organizations that enhance the connection of animals to improve the lives of people. And upon racing retirement, Race Club horses are placed in loving, responsible homes to enjoy second careers. The thrill of experiencing Thoroughbred racehorse ownership can indeed be yours. For more information visit ThoroughbredRaceClub.com.